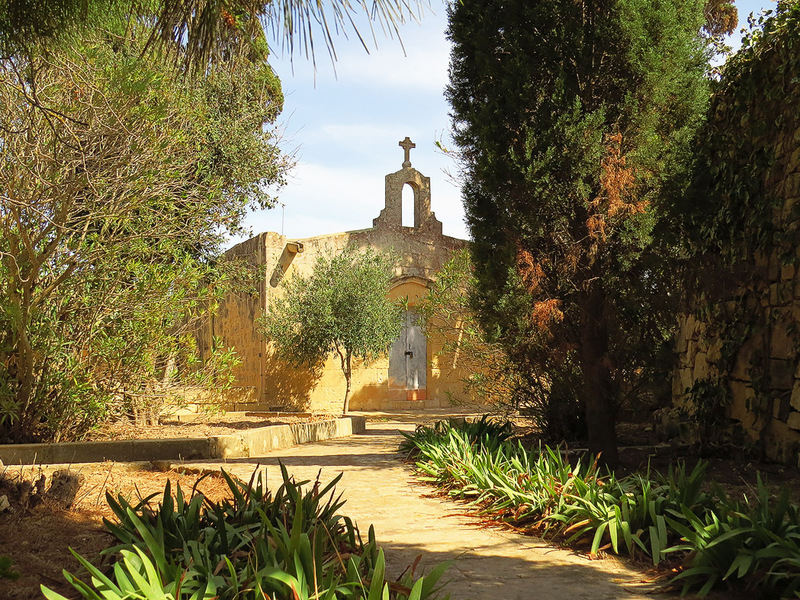 In the gently rolling countryside between the villages of Zurrieq and Mqabba there is a lovely rural area known as Hal-Millieri. Hal-Millieri was first documented as a specific settlement around 1418 but is itself the descendant of a much earlier habitation in the area – a sizeable Roman country estate of which a few remnants also remain to the observant eye. Hal-Millieri was once a small but thriving hamlet with a number of farming families occupying houses scattered around four chapels. Curiously enough and for reasons unknown the hamlet seems to have been abandoned sometime during the eighteenth century – the last birth in the settlement is recorded from 1711. Decay quickly set in after that, the farmhouses became ruins and were probably flattened and their stone used elsewhere as so often happens in Malta. The chapels suffered very much the same fate and today only two of the original four remain – the sole reminders of a lost village. The chapel of St. John is the more visible of the two. It dates back to the 15th century but was also abandoned and desecrated for a long number of years and was only restored in the early 19th century. The chapel is thought to have faced the settlement’s ‘main square’, where a stone cross – typical of others in village centres – still stands. Another of the hamlet’s chapels once stood side by side with St. John’s but no traces of this second chapel remain. More interesting is the chapel of The Annunciation just a stone’s throw away. The chapel’s construction dates back to around 1480 but an even earlier chapel was in place even before that. Like St. John’s this latter chapel was abandoned at the time the hamlet was depopulated and suffered much neglect. At some point the chapel and its immediate precincts were walled off and basically forgotten. When Din l-Art Helwa (The National Trust of Malta) started restoring the chapel in the 1960’s, a magnificent cycle of frescoes was uncovered beneath the various layers of plastering on the chapel’s walls. These date back to the 1450’s and the visual language used suggests that these were a close attribution of the images present in the earlier, 13th century structure that stood in place of the present chapel. 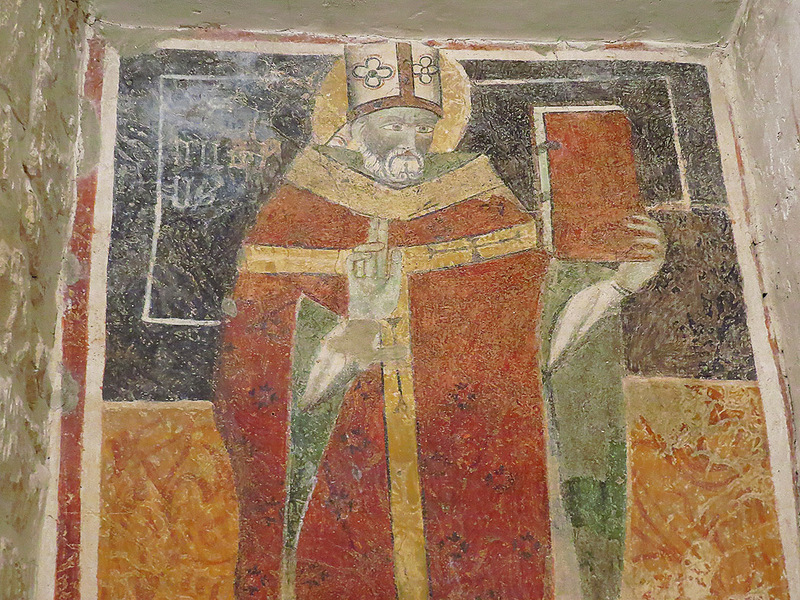 The ravages of time meant that most of the lower halves of the frescoes are now irretrievably lost, but there is more than enough to make this the finest cycle of medieval frescoes in the islands and the chapel one of the most fascinating to visit. In the chapel’s walled off garden enclosure one also finds a good example of a Roman olive pipper constructed of hard stone. More evidence of the Roman presence in the area is found in the lane which connects the two chapels. 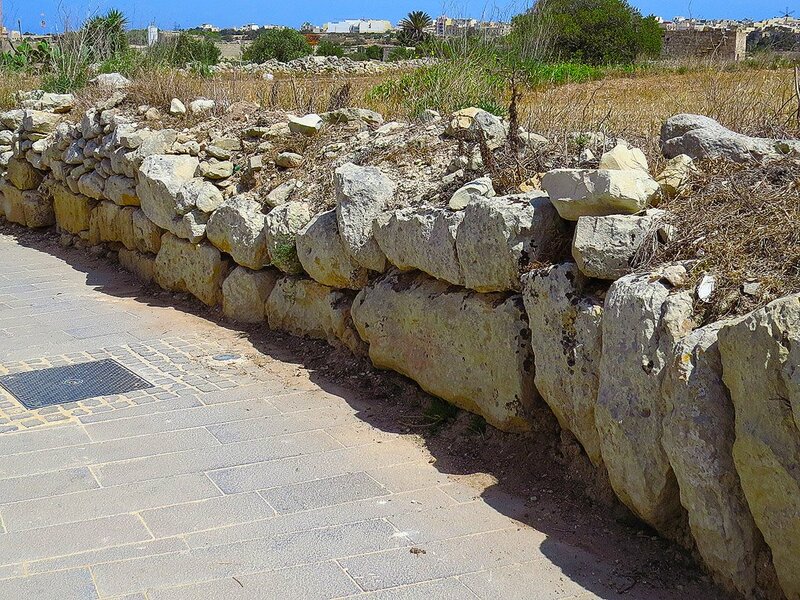 A close inspection of the rubble walls here will reveal some unusually large blocks not normally found in such walls. These are in fact blocks which once formed part of the Roman villa in the area, and as is the norm, recycled for another purpose. Due to the fragile nature of the frescoes the chapel of The Annunciation at Hal-Millieri is only opened once a month – on the first Sunday of each month between 9am and 12pm. The well learned Din l-Art Helwa custodian will readily fill you in on more fascinating details on the site. 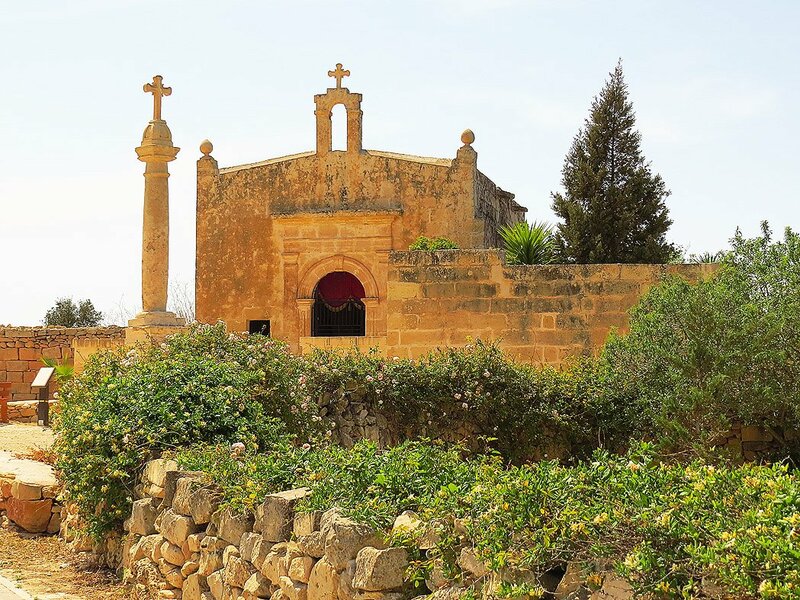 Hal Millieri is reached via a side road (signposted) off Blue Grotto Avenue in Zurrieq.While entrance to the chapel is free a small donation is solicited for this unique treasure’s continued upkeep and preservation. 1 Pings/Trackbacks for "Hal Millieri – The Spirit of a Medieval Hamlet"